In a race that came down to an uphill battle near 20 km, Ryo Matsumoto (Toyota) emerged on top of a lead pack of five to win the men's race at the 28th Sendai International Half Marathon. 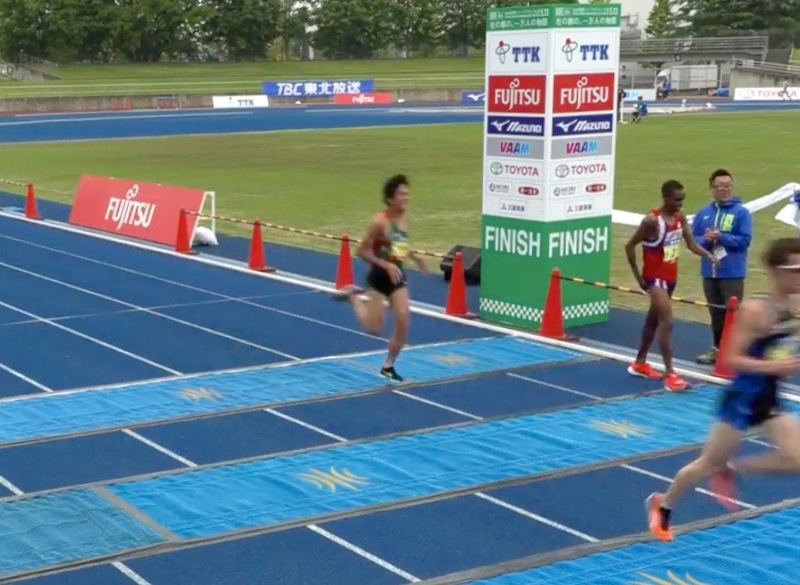 Matsumoto outkicked Rio Olympics marathon team member Satoru Sasaki (Asahi Kasei) on the track to take the win in 1:03:05, the fastest winning time by a Japanese man in Sendai history. Sasaki returned from the injury that kept him out of March's Lake Biwa Mainichi Marahton to finish 2nd in 1:03:10, holding off collegiate runners Kengo Nakamura (Toyo Univ.) and Akihiro Gunji (Tokai Univ.). Defending champion Charles Ndirangu (JFE Steel) suffered some sort of injury in the late going, shuffling down the home straight and almost walking across the finish line to take 5th in 1:03:39. Just behind him, 2017 Gold Coast Marathon winner Takuya Noguchi (Konica Minolta) nicked 2018 Boston Marathon winner Yuki Kawauchi (Saitama Pref. Gov't) at the line after sitting on Kawauchi the entire race, both clocking 1:03:41 but Noguchi taking 6th. Kawauchi's friend and rival Kentaro Nakamoto (Yasukawa Denki) was 24th in 1:05:15, the first time he has ever lost to Kawauchi over the half marathon distance. Like the men's race the women's race came down to the final uphill to the track. 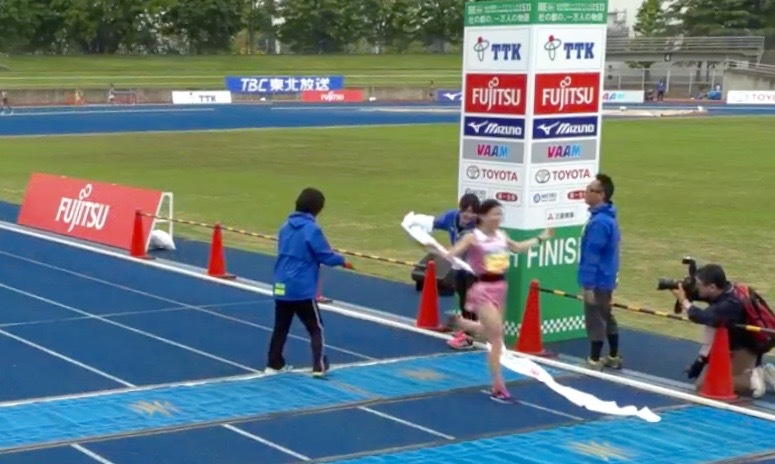 Fresh off a win in the 10000 m at last month's Hyogo Relay Carnival, Yukari Abe (Shimamura) had the gears to get away from a lead group of five, her winning time of 1:12:16 the slowest since 2010. Shiori Morita (Panasonic), twin sister of 2018 Marugame Half runner-up Kaori Morita (Pansonic), was next in 1:12:23. 2018 Osaka Half winner Maki Ashi (Kyudenko) recovered from a DNF at the Boston Marathon to take 3rd in 1:12:32 just ahead of talented marathoner Hanami Sekine (Japan Post) and 10000 m collegiate national record holder Hikari Yoshimoto (Daihatsu). Last year's winner Hanae Tanaka (Shiseido) finished 11th.